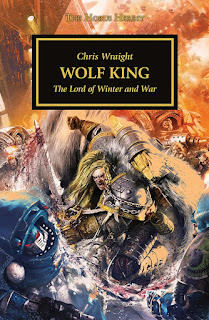 Wolf King is the latest novella to crawl out of the primordial ooze that is Black Library. Every now and again the denizens of this hell realm allow diamonds to escape, resulting in stellar novels (and even novellas) to be graced to us mere mortals to be purchased, digested, argued about, and then allowed to sit on our shelf for possible future re-reading. These would be your Know No Fear, First Heretic, Betrayer, Prospero Burns/Thousand Sons, etc. Sometimes other gems come out. Not as good as diamonds, but still pretty to look at and entertaining to boot. These novels you might not buy direct from the primordial black ooze, but you might pick up at your local GW or Game Preserve (at discount at the latter. They don't like books on the shelves) with some convincing. Maybe you find a hardback copy at Half Price Books and smile to yourself with contentment. These are your Outcast Dead, Fulgrim, Nemesis, Fear to Tread. Then your solid "meh tier", Take it or leave it. Maybe your Legion got a poorer author to represent it (or an overzealous one) and it just didn't pop. It's enjoyment largely up to the reader and acquiring it directly related to how much you care. Want to read it just to say you did? The internet is there. Or the mass market paperback shelves at Half Price (Did I mention I love that place? Most of my Black Library stuff is gotten from there). Maybe you borrow from a buddy. This would be your Descent of Angels/Fallen Angels, Legion, Vulkan Lives, etc. I won't go into the unspeakable tiers. You know which books you are. The point being that Black Library has had a massive amount of success with this series down through the years. But within that success lies oodles of half cocked books and downright poor replications of the greats...and the listed novels above are no where near the complete list (or objective, for that matter). So Black Library compensates by throwing us novellas. Shortened forms of what could easily be longer stories that usually sell for $50 with the "collector's edition". These novellas also come in the form of rarer, harder to collect editions that only appear at Game Days or whenever Black Library decides to show up with GW to cons. Novellas such as The Imperial Truth and Seditions Gate have to be read either in person or on the good graces of someone who was there (scanning novellas). Normally these novellas are actually pretty solid stories that leave die hard fans screaming for an expansion to the story or to the characters. Really, that's why they exist. They are like mini teasers to a larger whole that, deep down, we all realize will never come. It's a way for authors to explore more of the story without committing to a full length novel. So where does that leave us with Wolf King? Wolf King is, simply put, the next best thing Space Wolves players are going to get out of Black Library until they decide to do something else with them. The Wolves have been pitifully short on good source material. Granted, Prospero Burns was a massive achievement in storytelling and in lore. It drenched the reader with lavish details and often clarified often misunderstood fluff. But the Wolves appearances past that are of being watch dogs to the other legions. While this makes for a fun distraction, it doesn't further their plot. It leaves them stale and largely predictable. Which might be why I enjoyed Wolf King so much. Leman Russ begins the story by acknowledging the very thing I just noted. The Wolves have become repetitious. They have no hold on their own destiny. They exist only to be tools and markers of fear, executioners when they weren't really meant to be so. Much like how the Wolves have so far been presented, Russ is tired of seeing his sons thrown at the anvil for someone else's command. He spends his time casting runes, trying to decipher the interior whispers of the universe in a manner, ironically enough, not so dissimilar to his recently murdered brother. many of the other stories involving the Wolves, it falls to Bjorn to shake his father out of his stupor and get him back on track. Doing this is actually very simple; the runes say Bjorn has a role to play. He plays it and Russ returns to lead the Rout. Curiously though, the novella also delves into Russ realizing his true nature. Russ can hear the undercurrents of the universe. The warp is known to him on a more intimate level than even his Rune Priests. He realizes, with an almost sickly certainty, that his very being isn't supposed to exist. He isn't Fenrisian, he isn't even transhuman. 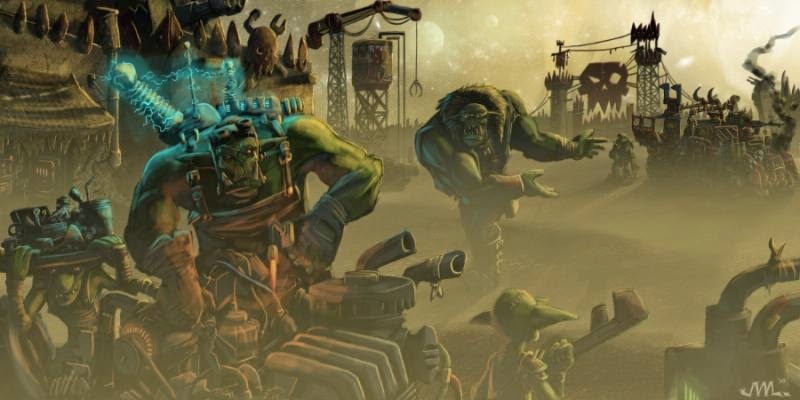 Russ, quite possibly first among the loyalist Primarch's realizes that he was crafted from the same stuff as the warp. 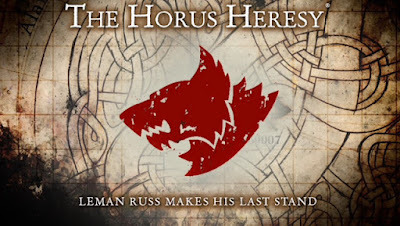 This has been hinted at for the longest time and, with Russ realizing it, makes more sense when you account for his disappearance after the Heresy. In fact, the case might even be made for the rest of the surviving loyalist Primarch's after the Heresy. Did they finally come to realize what the Emperor had really, truly done to make them? Did it send them to the very edges of madness and control so that they fled? A more interesting and lingering question remains though...Bjorn comes from the same stuff, Russ muses. A small but highly crucial side plot exists where the Wolve's flagship, Hrafnkel, is infiltrated by a spy. I'm not going to say much on it, but I was intensely pleased to see who it was and what the aftermath from it showed. It was a twist I had honestly not seen coming. Secondary to it is the revelation that, like many of the other Legions, Russ has a personal advisor that is not grown transhuman but was adopted to it. Much like Luther in the first Legion, Kva is even more of a withered old man than possibly any other pseudo legionnaire. To boot, he's a Rune Priest. Seriously, you're functionally immortal and eighty. Hope they cured your arthritis first. So what did I think of Wolf King? I enjoyed it immensely. Russ' brooding, Bjorn's youthful fire, the Jarl's showing their teeth to each other in Russ' absence...all with the looming threat of a vastly superior fleet looming in and closing the trap doors made this little novella a stand out. By and large, Black Library has done a good job releasing them (some exceptions apply) to enough fanfare and content to keep readers happy. Chris Wraight is the local expert and enthusiast for the Space Wolves and it shows. 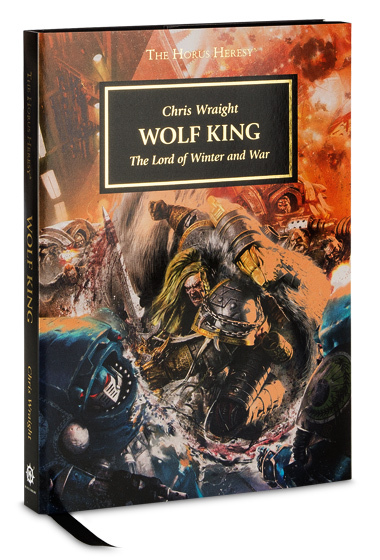 Lacking the zealotry of Kyme but embracing the nuances of the Black Library Greats, he has managed to produced outstanding novels that actually make the Wolves likeable. It's far to easy to write them off as GW's attempt at "Space Vikings" when the notion just doesn't ring true anymore. 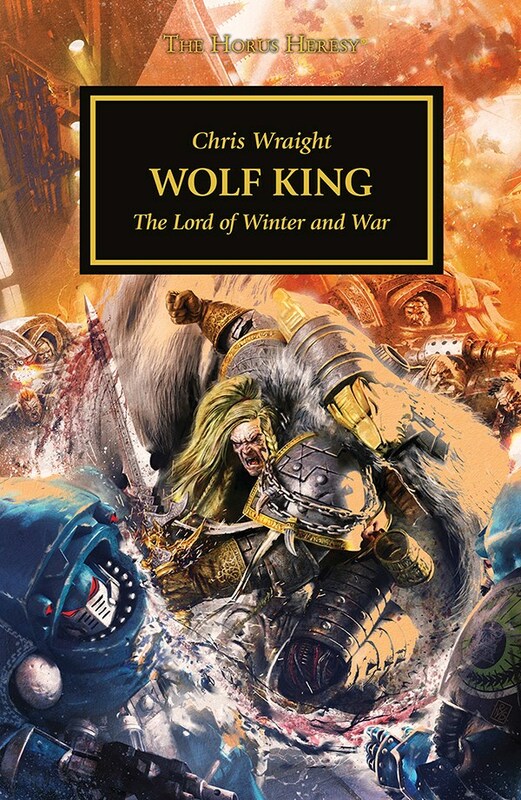 If you enjoy the Space Wolves and have been dying to get your hands on a signed novella with them in it...it's still available from Black Library. $50 is the upper end of my wallet's happiness range for something I would enjoy, so I hope you all have a better or easier tolerance. Black Library also made this available in pdf for people to enjoy while the regular copy shipped. You all can't imagine how nice I found this. I hope the trend continues. This is trooper, signing off with a flask of "mead" that was given to me by the Wolves. I can run with the best of em!